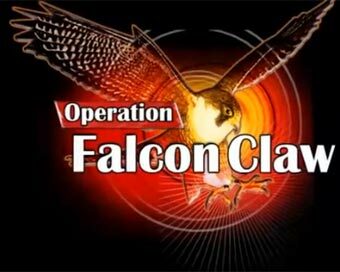 Part 1 of Operation Red Spider was just the tip of the iceberg! 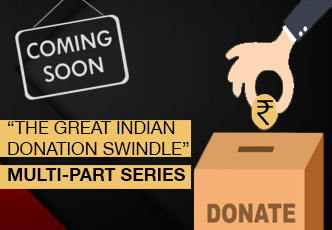 Cobrapost’s Continuing Shocking Expose: Twenty-Three Major Indian Banks, Both Public and Private, and Insurance Companies, are Running a Nation-Wide Money Laundering Racket, Blatantly Violating the Laws of the Land. Life Insurance Corporation, State Bank of India, Bank of Baroda, Punjab National Bank, Canara Bank, Indian Bank, IDBI Bank, Yes Bank, Federal Bank, Reliance Capital, Birla Sunlife and many, many others. New Delhi, May 6: In its continuing undercover operation, spanning several months, Cobrapost finds dozens and dozens of major public sector banks, and many more private banks, across the country are blatantly involved in money laundering, as are major insurers. In all, 23 banks and insurance companies have been exposed, namely, State Bank of India, Bank of Baroda, Punjab National Bank, Canara Bank, Indian Bank, Indian Overseas Bank, IDBI Bank, Oriental Bank of Commerce, Dena Bank, Corporation Bank, Allahabad Bank, Central Bank of India, all public sector banks, and their insurance associates; Yes Bank, Dhanlaxmi Bank, Federal Bank, DCB Bank, HDFC Bank, ICICI Bank and Axis Bank, all private banks, and their insurance allies; besides the state-owned LIC of India, Reliance Life Insurance and Birla Sunlife, and Tata AIG, among private sector insurers. Operation Red Spider 2 establishes beyond doubt that money laundering is not confined to private banks, and is not an aberration, as is being made out in certain quarters in the wake of the first expose on March 14 in which HDFC Bank, ICICI Bank and Axis Bank were shown involved in money laundering; it is rather endemic overarching the entire banking system and insurance sector, without exception, however shocking it might be. The scale is vast and unfathomable. • Money laundering services are being offered openly as a standard product across the board. However, even more shocking than the Expose itself has been the ease with which the Reserve Bank of India, The Finance Ministry and the Banks themselves have handed out clean chits, on the premise that “there were only violation of KYC norms” and as such “no money laundering took place because no transaction took place”. This is facile, euphemistic and absurd to say the least. The officials caught on tape in Episodes 1 and 2 have demonstrably stated that they would engage in money laundering for our reporter. The proceeds of corruption, tax evasion and worse are sought to be invested and made legitimate. According to the officials of banks and insurance companies, they have done this plenty of times in the past and are only too eager to do it again. This amounts to crystal clear offenses under IPC as well as the PMLA (Prevention of Money laundering Act). There is no ambiguity on this account whatsoever. The other question to ask is: Why were KYC norms NOT being followed? Were these dozens and dozens of cases mere oversight on part of the bankers … or were KYC norms DELIBERATELY not followed because in money laundering, there can be NO KYC done at all! That was the reason no documents were asked for, no paper trail was left, no transactions were reported. In addition, these transactions are not confined to a few low-level front-office staff members as is being made out in all the so-called ‘inquiries’. Our interactions with all officials, some with the ranks of divisional manager, territory manager, assistant general manager and vice presidents, with scores of branches under their charge, bear it out clearly that they are parties to and facilitators for these transactions and are conducting their questionable business with nonchalance that only crooks show when they find they are above law or when they find the powerful are on their side. Finally, given Mr. Chidambaram’s repeated warnings to money launderers and tax evaders that “we are watching you and will come after you”, till date, no investigative agency has launched any investigation into the heaps of evidence submitted by Cobrapost. Why is the FM himself overeager to declare innocence on part of the banks, as he did on March 14? Has the FM (or the RBI for that matter) not read the PMLA? Make no mistake: this is Money Laundering and nothing short of that. If any common man had been caught on phone or tape professing to do these things, can you imagine what might have happened to him? “Politicians ko nahin diya lekin bahut bade bade logon ko diya hai (I haven’t sold it to politicians but I have given it to many big shots). 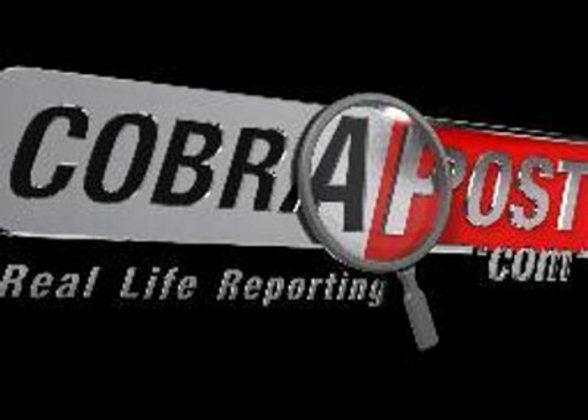 Cobrapost has captured on video-tape these money laundering practices, and the graphic evidence that it has produced is enough to prove beyond doubt that the malaise runs deep. The investigation finds that all these financial institutions and their managements are systematically and deliberately violating several provisions of the Income Tax Act, FEMA, RBI regulations, KYC norms, the Banking Act and Prevention of Money Laundering Act (PMLA). The utter disregard they show to the implications of such gross criminal practices for the country and its economy proves that they are driven by their desire to boost their bottom lines. Our investigation puts a big question mark on the legitimacy of the business these institutions garner and profits they make, employing such blatantly illegal means. It also makes questionable the legitimacy and origin of funds these banking and insurance institutions raise through their operations. In addition, it is apparent from our investigations that these institutions have been indulging in such unlawful practices for the past several years, unperturbed and undetected. Among the exposed institutions are some major state-owned banks, behemoths considering the assets they manage and the clout they wield both with the government and with the industry, with public trust always running high on them. The State Bank of India, the flag bearer of Indian banking industry, Bank of Baroda, Punjab National Bank, Canara Bank, IDBI and Allahabad Bank, among others, together manage assets worth thousands of billions of rupees and have equally staggering deposits at their disposal. Apart from HDFC Bank, ICICI Bank and Axis Bank, we have more banks from the private sectors in our net such as Yes Bank, Dhanlaxmi Bank, Federal Bank and DCB, which too have seen unprecedented growth in a short span of their existence. In the course of Cobrapost undercover investigation, we came face to face with some shocking, stark realities about the functioning of the entire banking and insurance industry of the country. Our interaction with all officials, some with the ranks of divisional manager, territory manager, assistant general manager and vice presidents, with scores of branches under their charge, bears it out clearly that they are conducting their questionable business with nonchalance that only crooks show when they find they are above law or when they find the powerful are on their side. Of these banks, Bank of Baroda is already under scanner for money laundering practices on foreign soil. Among the private insurers, Reliance Life Insurance, a subsidiary of Reliance Capital, in a very short span of its existence of less than a decade, has witnessed spectacular growth to become the largest private life insurer in 2012. However, the gem to fall from grace is the iconic Life Insurance Corporation of India, the largest financial institution in the country. With 30 crore policies under its belt, the insurance giant manages assets worth Rs. 1474 lakh crore, about 15 per cent of India’s GDP. The LIC of India is learnt to underwrite about a-fourth of government bonds and securities, and also acts as a bulwark against unprecedented upheavals on Dalal Street, at the behest of the government, so that investors’ confidence in Brand India and in its amazing growth story does not dwindle. In some cases, we came across certain bankers who were plain crooks in the mould of bankers. “Uske liye to hawala kar deta hoon (I can have a hawala [transaction] done for that),” when we seek his help to send England some of the crores to some of the relatives of our minister’s wife. Again, we have another banker, no less a crook. The banker in question is R. Manohar, Assistant General Manager, Indian Bank, South Delhi. In his zeal to net such client with deep pockets as our to-be-found-nowhere minister who could put on his table Rs. 25 crore of unaccounted cash, Manohar guides Cobrapost investigative journalist, Syed Masroor Hasan, to Dr. H. Prasad, an orthopedic surgeon from Tirupati who wants our minister to invest his crores of black money in his real estate project. There are many twists and turns to the tale. We are invited to Hyderabad where we meet Vasu, a hawala operator, who claims to be a former Andhra cop. He would help us deliver Rs. 25 crore to Dr. Prasad at Tirupati for his project through is racket. Our next port of call is S. Sake, who is Minister of Primary Education with the Andhra Pradesh government, with nine other departments under his charge, which shows the power he wields. Sake stands guarantor for the safety of our black money investment in Dr. Prasad’s real estate project. This helps us uncover a nexus between the banker and the hawala kingpin who are running their racket without any fear of law, with active patronage of our political masters. We don’t know how many bankers are doubling up as henchmen of hawala racketeers. Another fact that comes to the fore is a nexus between the banks and the insurance companies. If the banks don’t have their own insurance companies, they have joint-ventures with private insurers. Yes Bank, for instance, has a tie-up with Bajaj Allianz, which would question an investor only when the investment crosses Rs. 1 crore, as we came to know from a Yes Bank official. And such investments can be done in cash. Whenever we went about proposing to bankers, public or private, that we wanted to invest our black money in insurance, they immediately called the managers of the their insurance associates to our presence or sought their advice on phone, making it amply clear that banks and insurance companies are hand in glove. What the Law of the Land has to Say on Money Laundering? 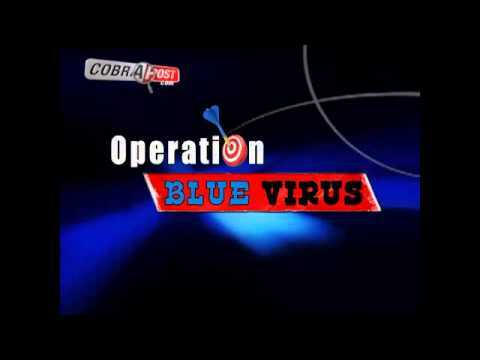 The videos, through Cobrapost’s undercover investigation in Operation Red Spider Part II, clearly show the gross violation of rules and regulations, framed under various laws of the land, namely, the Prevention of Money Laundering Act of 2000, the Income Tax Act and the Indian Penal Code, among others. Sections 118, 119 and 120 of the Indian Penal Code which clearly establish an offence in both scenarios: Where an offence has been committed and where an offence has not been committed. If we test the Cobrapost findings on these provisions, although “no transaction” took place, their willingness to conduct transaction establishes their design of committing an offence and hence their culpability beyond doubt. The IPC also establishes concealing the design to commit as an offence and as such holds it punishable to a term defined therein. Shall, if the offence be committed, be punished with imprisonment of the description provided for the offence, for a term which may extend to one- fourth, and, if the offence be not committed, to one- eight, of the longest term of such imprisonment, or with such fine as is provided for the offence, or with both. Whosoever directly or indirectly attempts to indulge or knowingly assists or knowingly is a party or is actually involved in any process or activity connected with the proceeds of crime and projecting it as untainted property shall be guilty of offence of money laundering. Are the RBI or the Finance Minister unaware of the above clause of the PMLA? Is attempting to launder money for a politician who has generated cash through corrupt practices, not a proceed of crime? The method was the same: Taking an alias, Cobrapost Associate Editor Syed Masroor Hasan, posing as a relative of an imagined politician, made cold calls on dozens and dozens of branches of these banks and insurance companies. And the proposition was the same: A politician of stature wants to convert huge sums of black money into white. Could the officials help? It didn’t take much effort to pull the lid off the murky world of money laundering as the officials of these companies rolled out a red carpet for our Masroor Hasan who visited dozens and dozens of branches across the length and breadth of the country, including many major cities and state capitals, across all five zones. Nowhere was Hasan disappointed. Nowhere was he turned away. Almost every banker and insurer he met with was willing to help launder huge unaccounted cash the fictitious politician Masroor Hasan was representing. How They Help Launder Your Black Money?  Accept huge amounts of unaccounted cash to invest it in insurance products, and sometimes in gold as well.  Open an account to route the cash into various investment schemes of the bank or insurance arms. 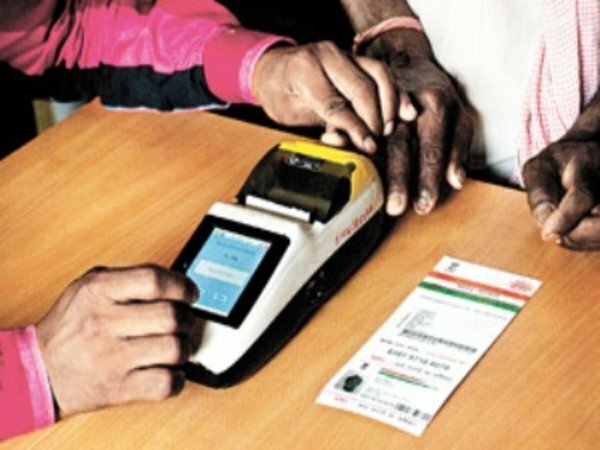  Do it even without the mandatory PAN card or adhering to KYC norms.  Arrange forged PAN cards to facilitate investment of huge unaccounted cash.  Split the money into tranches, below the reporting threshold, to get it into the banking system without being detected.  Use accounts of other customers to channelize the black money into the system for a fee.  Get demand drafts made for the client either from their own banks or from other banks to facilitate investment without it showing up in the client’s account.  Keep the identity of the investor secret.  Buy as many policies as you can to accommodate the huge unaccounted cash.  Open an account in some extension branch a couple of months before the investment matures, credit the returns in that account and close it as soon as you withdraw all your money. The point: Extension branches are seldom audited.  Advise the investor to remain invested for a certain number of years, say, 7 years, to keep the taxman at bay.  Allot as many lockers as the client needs for safekeeping the illegitimate cash.  Personally come to the residence of the client to take the black money deal forward and collect the cash, even bring along a counting machine.  Use provisions like Form 61 to show the unaccounted cash as income from agriculture, making the investment of black money and returns thereof unquestionable. Promise to help transfer overseas huge sums of black money with the help of such operatives as hawala kingpins. Promise to convert all your unaccounted cash into white through other conduits, someone like builders who need cash for their own operations, or someone who owns a company. One interesting fact that emerged in our investigations is that some bankers and insurers suggested us to buy insurance products in whomsoever names we wanted and assign those instruments in our name, that is, our imagined minister, so that at the time of maturity we could harvest the returns. This is akin to holding a benami property where the owner of the property is not the one in whose name the property has been bought. o Another unique idea proffered by some bankers was open multiple accounts in the names of any individuals, not necessarily drawn from family, and become joint account holders, to monitor the accounts and keep all the details and cheque books with ourselves. This could serve our purpose better, and we could enjoy peace, after all our ill-gotten money is slipped into regular banking system and comes back to us as clean. o Insurance has emerged, whether with private or public sector insurers, as the most favorite tool to launder money, undetected. Needless to say what all these suggestions mean: a clear intent on the part of these officials to commit a crime as defined under various Indian laws, such as the Income Tax Act, the Indian Penal Code, FEMA and the Prevention of Money Laundering Act. We are sure the RBI top brass will again go about town touting the expose as something of a non-issue since no transaction of cash has taken place, as both D. Subbarao and his deputy K.C. Chakrabarty did when we exposed the three major private banks, namely, HDFC Bank, ICICI Bank and Axis Bank on March 14, 2013, giving a clean chit to these banks. And we know they would claim that the banking system is “safe and secure” debunking our findings with their typical nonchalant bureaucratese. But they have been proved wrong, with the RBI’s own audit report indicting these banks now out, and forcing the banking regulator to follow it with punitive action against the erring banks. The optimism aired by the central bank’s top honchos that Indian banking system is “safe and secure” is nothing but a naïve interpretation of the reality of the day: Our economy is overwhelmingly grey than it is white. A sad commentary on our economy, and who control it, but nonetheless a cold truth. 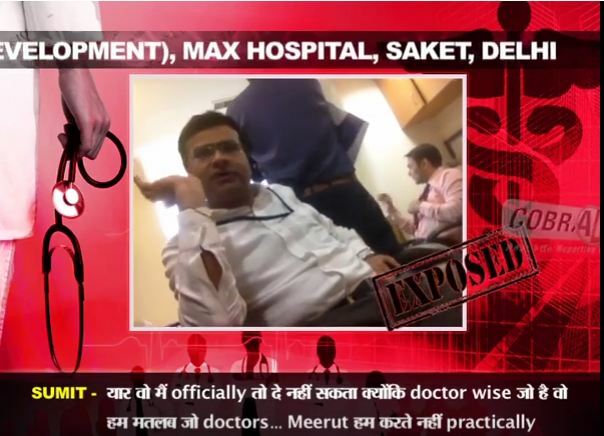 In between the first expose of March 14 and this expose, certain developments have taken place. For instance, all the banks have been asked to strictly adhere to KYC norms, and even older account holders’ antecedents are being verified without exception. The banks alleged to have been involved in money laundering have punished their staff members, more than 50 in numbers, with suspension, although they are just a cog in this wheel. In yet another development, miss-selling by insurance companies to the tune of Rs. 1.5 trillion, between 2005 and 2012, making the gullible investors as much poor, has come to light, and there is an effort on the part of certain quarters to use this to deflect attention of the nation from the real issue of money laundering and the dangers inherent to it which are now being openly discussed in the print media, and other public fora such as ASSOCHAM, an industry body, although the electronic media silence over this issue is conspicuous and deafening. Can the System Be Cleaned Of The Malaise? Although the RBI has announced action, both at the systemic level and at the individual bank level, one can only hope they are not cosmetic, and the latest expose would spur both the RBI and the IRDA to address the malaise, for all times to come. However, looking at the RBI’s rather suspicious, Protector-instead-of-Regulator conduct, it looks highly unlikely that any worthwhile cleansing of the system will happen. It is high time our financial institutions are overhauled, so are the monitoring systems of both the RBI and the IRDA, to clean up the system, and put in place checks and balances. While the RBI should take a rethink on its licensing policy, as many private insurers and NBFC players are making a beeline to seek regular banking licenses from the central bank, the IRDA should forbid all insurers to entertain cash transactions. The IRDA should also revisit the wealth management portfolios of all the insurers, to help identify the faults inherent to such lucrative business opportunity. Only then can one hope of redeeming our pledge to international community India has given when it became a signatory to FATF (Financial Action Task Force on Money Laundering). More than that what is at stake is national security, and it is anybody’s guess what havoc it would wreck on India’s economy and social fabric if forces inimical to Indian state take advantage of such all-pervasive permissiveness in our financial institutions. However, given the virtual cover-up post the first expose, we are not very hopeful that a full-scale clean-up of this sort will take place, ever. And there is reason behind this skepticism of ours born out of government’s own actions. For instance, the Ministry of Finance has wrapped up the Directorate of Criminal Investigation (DCI) that was set up to check the flight of black money out of the country and bring the culprits to book, under the mandate of the Parliament. It was this agency which was on hot pursuit of those industrialists and politicians who have parked their black money with the Geneva branch of HSBC Bank and whose name were made public by the French government. One can draw an unmistakable inference from this episode that far from being serious on a serious crime like money laundering, the government is working at cross purpose, thus leaving our financial borders as porous as our geographical borders are.